If we want certainty with our reporting we can get that by utilizing a different, more robust analytics platform, or we can use UTM parameters. Here is a quick, easy guide to using them. Urchin Tracking Module (UTM) Parameters were created to help give clearer data and tracking for online marketing campaigns. What is Urchin? It was the web statistics analysis predecessor to Google Analytics. UTM Parameters essentially take a URL, adds words/letters/codes (parameters) and helps clarify where users are coming from and the exact link they clicked on. The simplest way I’ve found to guide UTM creation is with this template URL builder. It allows you to input everything that is required, along with additional options for more specificity with tracking. For example: You get to name the source, medium, and give the campaign a name. 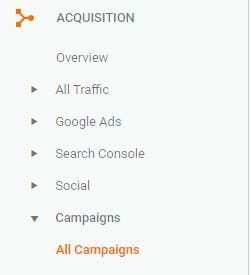 In the image example at the top of this post, you can see we want to link to our SEO page for a newsletter, it will be sent out via email, and then the campaign can be named whatever you’d like. Once you’ve set up your link in the campaign, then you just wait for folks to click through and track it! I generally go to analytics, acquisition, campaigns, and then all campaigns. It’s helpful to add secondary dimensions like source/medium too. 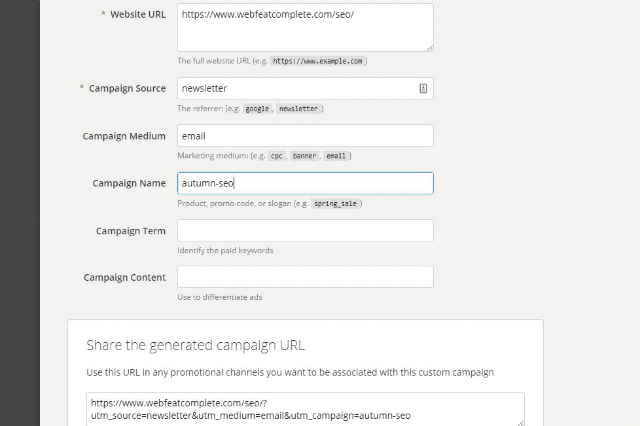 If you want to take control of your data and get a better measure on a campaign you’re testing, use UTM parameters. It’s not tough to setup and take advantage of! If you want someone to handle that for you, we’d love to help! Fill out our proposal form, we’ll discuss your situation, make a recommendation, and send you a quote!